This is a classic silk braided headband. Soft silk hand braided over a 1/2" flexible French headband. Comfortable and elegant. This piece works well in all hair types, short and long. Finished width measures 3/4"
Shown here in Azure blue and steel blue. 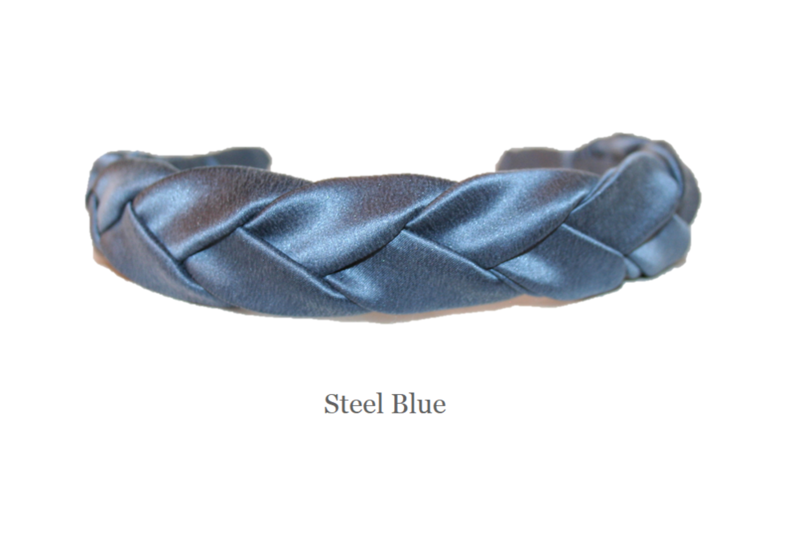 These headbands are the same size, the steel blue is close up to show the pretty color.